Deep Brain Stimulation (DBS) is a proven effective treatment for Parkinson’s disease and dystonia. So far, about 150,000 patients worldwide have been treated with DBS for disabling movement disorders. It is part of the movement disorders neurologist education and knowledge to know at least the basis of this therapy. General neurologists will also be increasingly confronted with the management of these surgical patients, who suffer from chronic neurological conditions, thus requiring lifelong care. This advanced course is intended for neurologists, neurosurgeons, and nurse practitioners who are already involved in the care of DBS patients. The course will focus on standards of care in the preoperative, intraoperative and postoperative patient management, a comparison of programming options in different DBS devices, advanced programming options including visualized programming tools, and troubleshooting for failed DBS surgery and various therapy related adverse effects. 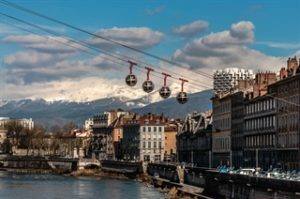 It will be celebratory to hold this course in Grenoble, where the first DBS patient was treated 30 years ago. This course is intended for movement disorder specialists, functional neurosurgeons, nurse practitioners, and trainees who are already involved in the selection, intra- or postoperative management of patients with movement disorders (tremor, dystonia, Parkinson’s disease, etc.) treated by deep brain stimulation surgery and want to strengthen their knowledge in the field. List the different electrical parameters that can be adjusted for DBS and outline their biological effect including advanced programming options such as interleaving, multiple independent current control, current steering, etc. This course is designed for practitioners who already have a working knowledge of DBS.